FIBA World Cup: Can Gilas make it out of 'Group of Near Death'? MANILA, Philippines – Virtually everyone involved in Philippine basketball has declared Gilas Pilipinas a massive underdog heading into their campaign in the 2019 FIBA Basketball World Cup. The Philippines was drawn to Group D, along with powerhouse Serbia, Italy, and Angola. Only the top two teams from each group advance to the second round, with the bottom two being relegated to the classification phases. "It is obvious that we are the overwhelming underdogs," admitted Samahang Basketbol ng Pilipinas president Al Panlilio, shortly after Saturday night's draw. Gilas Pilipinas coach Yeng Guiao stopped just short of calling it the "Group of Death." "I'm not going to say that this is the 'Group of Death.' Sabi ko nga, overwhelming underdogs tayo," he said, as quoted by the PBA website. "Maybe, this is the 'Group of Near-Death.' Nandoon lang sa gilid-gilid." When asked about their chances of advancing to the second round, Guiao said he believes in "miracles." "Naniniwala ako na pwedeng mag-milagro. (Pero) kailangan ka rin maghanda para mangyari 'yung milagro. So we need to prepare for us to be able to do that," he said. The national team's composition and preparation will obviously be big factors heading into the World Cup, especially with the SBP looking to get Filipino-American guard Jordan Clarkson into the team. Just as crucial, however, is the composition of the other teams in the group. Most observers agree that of the Philippines' three opponents, Angola is the one they can conceivably beat. Angola is ranked 39th in the world, eight rungs lower than Gilas Pilipinas. They qualified to the World Cup after placing second in their group in the FIBA Africa qualifiers, having won 9 of their 12 games. "Angola is obviously beatable," said Barangay Ginebra coach Tim Cone in an interview on "The Score" on Monday night. It is a sentiment that Guiao shares. 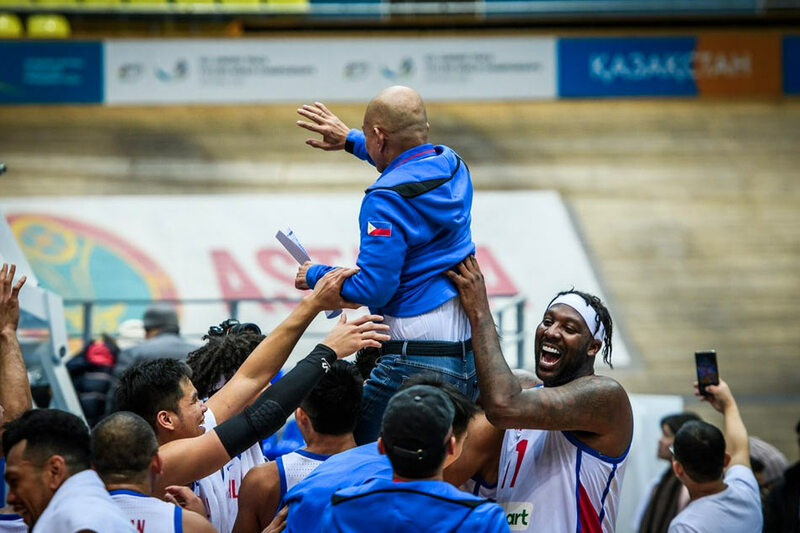 The coach had previously told reporters that Gilas can "realistically" pull off an upset of Angola, which placed 17th in the 2014 edition of the FIBA Basketball World Cup in Spain. "Pero it's going to be a hard game," Guiao also warned. "Makikipag-basagan tayo ng itlog doon para manalo lang. So that's how hard it is going to be." The Philippines has never played Angola in an international basketball competition before. Cone also feels that Gilas Pilipinas has what it takes to shock Italy, the 13th ranked team in the world. Italy did not play in the 2014 World Cup, but qualified this year after placing second in their group in the European qualifiers. "They (Italy) are gonna be tough, but they're beatable," Cone said. Italy can include NBA players in its line-up, including Danilo Gallinari and Marco Belinelli – both of whom did not play in the qualifiers. Serbia, for its part, is a known basketball powerhouse. Ranked fourth in the world currently, Serbia was the runner-up in 2014 to the United States. They ranked third in their group in the European qualifiers, and advanced to the World Cup despite not having the services of its NBA players. In China, however, Serbia can roll out a line-up chock full of NBA stars – including Denver Nuggets star Nikola Jokic. They can also have Milos Teodosic, Bogdan Bogdanovic, Boban Marjanovic, and Nemanja Bjelica, who led the team in scoring in the final against the United States five years ago. "If those guys are going to play, mahihirapan talaga tayo," Guiao has said. The Philippines has played Italy just once before, all the way back in 1978. They have yet to play Serbia in an international competition. 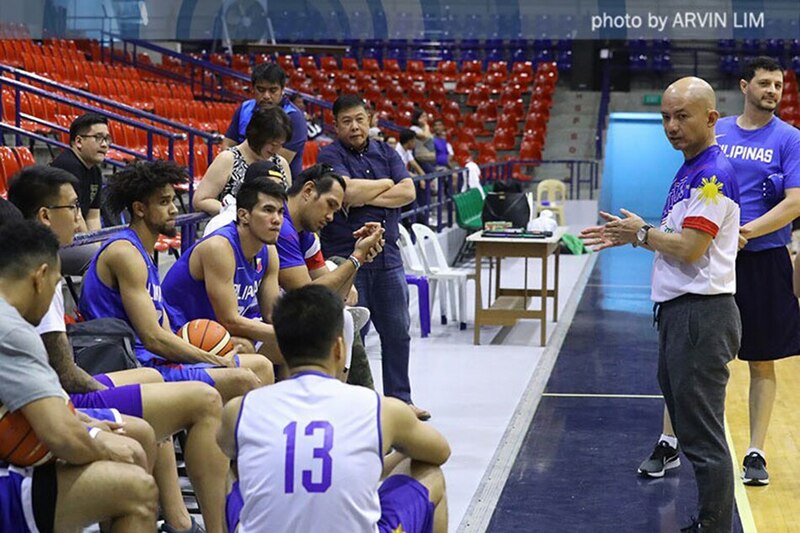 While there is no doubt that Gilas Pilipinas is an underdog in the World Cup, Cone believes that the national team has some things that can work in its favor. For one, the Ginebra coach believes that the Filipinos can definitely surprise its opponents – much like they did in 2014, when they pushed Croatia, Argentina, and Puerto Rico to the limit before finally breaking through against Senegal. "When the imports come in, they are so absolutely shocked at how skilled our league is, the PBA. They're absolutely shocked, every time an import comes in, they didn't expect it to be like this," said Cone. "I think there's gonna be the same kind of not expecting them to be like that. I mean, you can watch them on video, you watch them on tape and you can prepare," he added. "(But) when you get out there and you play, and these guys are playing their hearts out and knocking down shots, and they're defending and getting in your face, it's a whole different ball game." Cone believes that the Philippines' opponents can prepare for naturalized center Andray Blatche, as they are familiar with him from his days in the NBA. But the other Gilas players – from June Mar Fajardo to Japeth Aguilar, from Roger Pogoy to Jayson Castro – will be tougher to scout. "June Mar could really surprise a lot of those bigs out there. And, our point guard, our speed at our point guard level. Guys like Jayson, and the ability to get to the basket," he said. 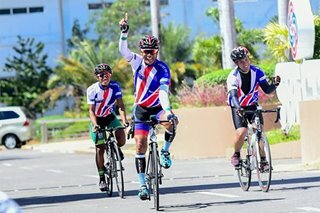 "I think that was the biggest surprise in 2014, was our ability to blow by people and get to the basket with the dribble-drive motion that Chot Reyes brought to the national team," he added. Moreover, Cone feels that Gilas Pilipinas's status as an underdog can work to its advantage. "Look at the last World Championships that we went to. We played Argentina, to a big battle. We went overtime with Croatia. There's a real good chance that someone's gonna take us lightly and we can sting 'em," he predicted. Cone is certain of one thing, however: no matter how tough the opponent, no matter how many NBA players they play against, no matter how high the ranking of their foes, the Philippine national team will show no signs of intimidation. He credits this to Guiao, noting that the famously sharp-tongued coach "won't let his players be intimidated by anybody." "Coach Yeng will not be intimidated by anybody, and he won't let his people be intimidated by anybody. They're gonna come out and just play," Cone stressed. "I've been coaching against Yeng Guiao for years, and his guys do a great job of just coming out and playing. They don't feel pressure. He doesn't put pressure on guys," he added. According to Cone, Guiao's players have a way of playing "comfortably," so that they settle into their shots and don't show any panic even against higher-ranked squads. He saw it when Guiao was coaching Rain or Shine, and again now that Guiao is calling the shots for the NLEX Road Warriors. This kind of mindset will be crucial in the World Cup, he said. "You get into these things and you start to look around and you say, 'Oh no we can't beat these guys.' Or 'Oh no we can't play our game.' That will not happen with this team because of Coach Yeng," Cone guaranteed. The Philippines opens its campaign against Italy on August 31, then plays Serbia on September 2, and Angola on September 4. All games will be held at the Foshan International Sports and Cultural Center in Foshan, China.